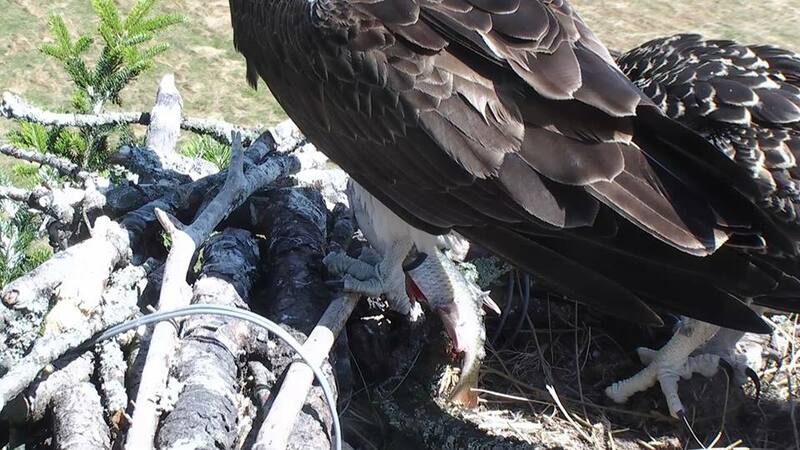 As many have correctly guessed, Mrs G and Aran have two female chicks and a male on the nest this year. At the ringing on Monday evening of this week, the two females weighed well above the 1500g maximum of the scale and the male came in at 1460g. It seems Aran’s persistent and reliable fishing this year has ensured that two of his chicks are, quite literally, off the scale. Speaking of Aran’s fishing talents, he really has upped his tally of fish species this year. It could be the recent warm weather that has seen him bring much more coarse fish back to the nest as we’ve seen perch, roach and tench in the last couple of weeks alone. He has been spotted heading towards the Moelwynion range before returning with a tench so maybe he has found a mountain lake that has lower than normal water levels due to the heat. Whatever he finds next and wherever he finds them, we’re sure he enjoys keeping us guessing! While Aran has been busy fishing, the staff and volunteers at Glaslyn have been busy welcoming school children to the Visitor Centre over the past three weeks. Ten local primary schools have been involved in this year’s education programme where BGGW Education Officer, Rebecca, has been visiting schools to do presentations and activities about the ospreys. 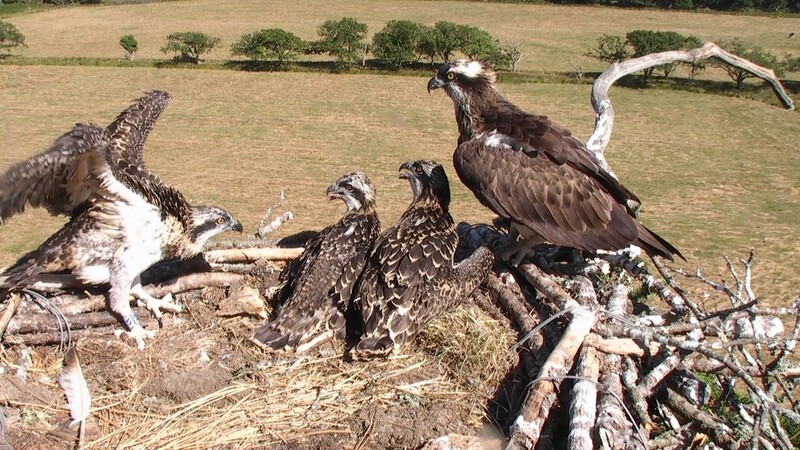 Each class has then been given the opportunity to visit Glaslyn and witness the ospreys and wildlife first hand. 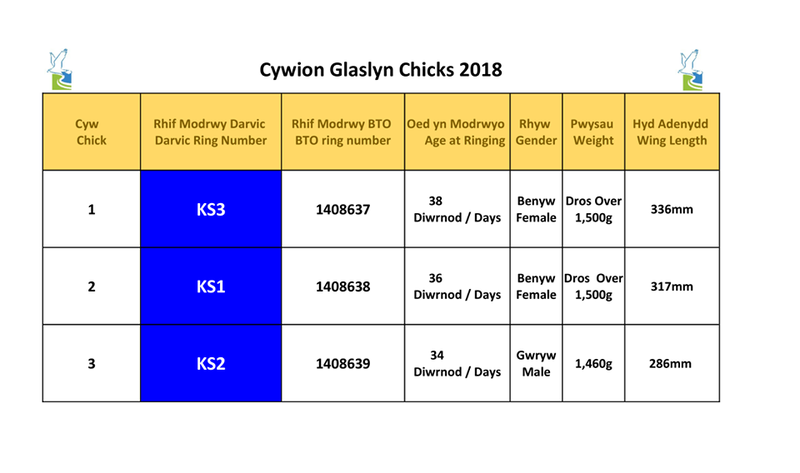 It is encouraging to see so many young people showing enthusiasm towards nature, and we hope the Glaslyn story and its magnificent birds will inspire them to be an active part of its future. Never one to miss an opportunity to learn, Aran has been taking a leaf out of Mrs G’s book. 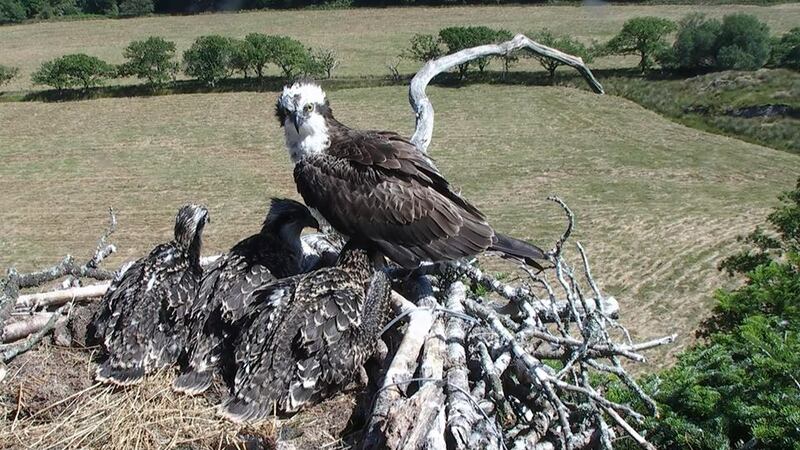 With the temperatures lately soaring to 32 degrees, we have seen Aran diligently take his turn shading the chicks so their ‘mumbarella’ could momentarily rest her wings. Mrs G sure has taught him well.